The Taper 2000 Clipper features a thumb lever that changes the taper, texture and cut without changing blades. Six snap on clipper cutting guides maintain precision lengths from 1/8″ to 1″. The AC Trimmer provides smooth, clean trimming action through 1″ blades and a nylon guide to maintain alignment. 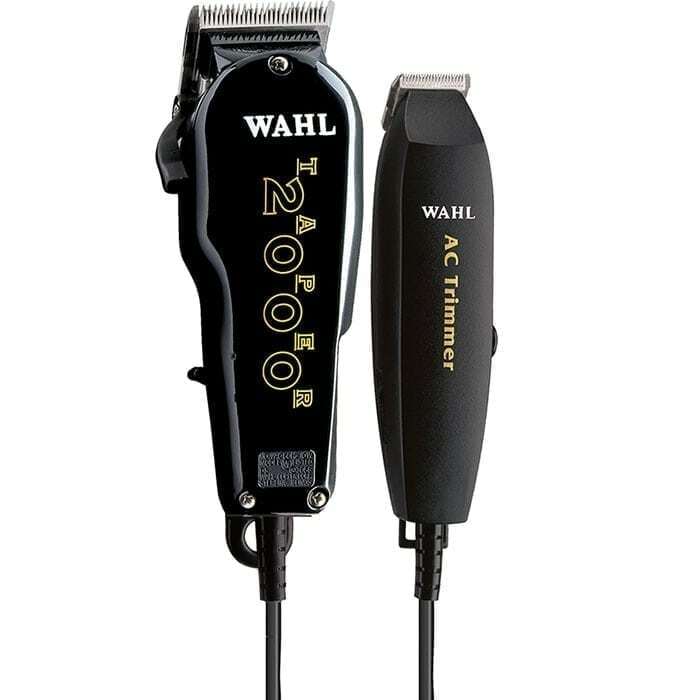 Wahl clippers and trimmers come with high-precision cutting blades. The Wahl Professional Essentials Combo is a professional clipper and trimmer set for all your hair cutting needs. Kit comes complete with cleaning brush, clipper/trimmer oil and instructional booklet.